Sporty, secure and offering a comfortable fit - These sporty classic Speedo ® Essential Splice Aquashorts, in black and red, offer both the freedom of movement and the reassurance of a secure fit. Made from Speedo's Endurance®+ fabric, they're 100% chlorine resistant and designed to last for longer so you can wear them swim after swim. 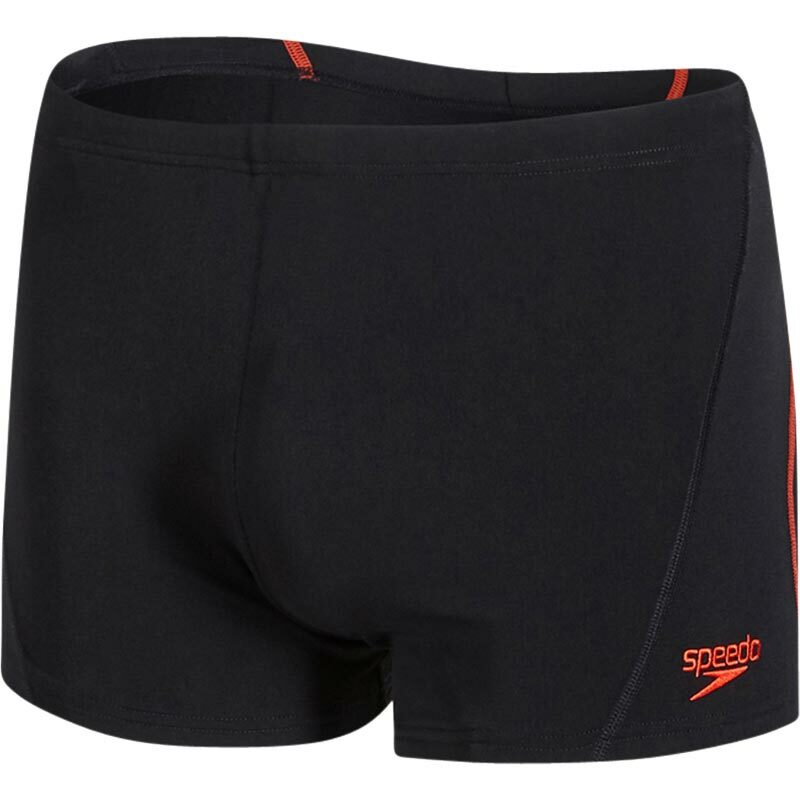 Simple in design but cleverly boasting 4 way stretch technology, they offer a soft, comfortable fit and feature the sporty Speedo logo - the swimmer’s sign of quality. 100% chlorine resitant, so your swimsuit won't degrade in the swimming pool.